Anacortes Electric is proud to be a longstanding provider of electrical contracting to the Anacortes area. With a dedication to providing complete customer satisfaction, we’re serious about quality and make a strong effort to deliver our services at reasonable and competitive prices. 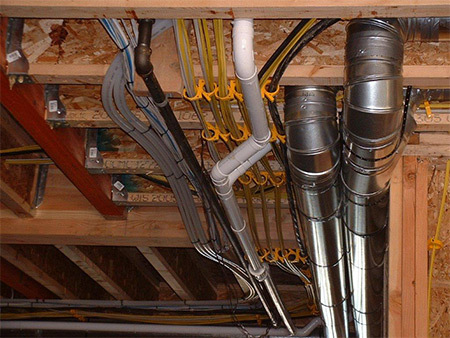 When you need the expert oversight of an electrician in Anacortes, WA, call the professional you know you can trust. Since 1992, Anacortes Electric has been providing top-notch electrical contracting services to homeowners, business and industrial facilities, delivering safe, effective and innovative solutions. From the simplest repair job to the most complex installation, we take pride in treating every service call with the utmost importance, and every customer with the utmost respect. Our focus on doing a job well means you’re always going to get the best results possible when working with us—it’s a promise we’re proud to stand behind! We’re pleased to have a Master Electrician on our team, as well as licensed Journeyman. Our business has an A-plus rating with the Better Business Bureau (BBB) Northwest. We serve residential, commercial and industrial clients, providing top-level services. Owner Kris Hansen is the inventor of Handi-Hoops and more! We’re pleased to provide estimates on all of the work we propose do. A great part of our work is bringing 39 years of my personal full time experience in the electrical trade to the job and adhering to a high standard of quality that I have developed and require of myself and our workers. The Anacortes Electric team is dedicated to fast and efficient work practices without sacrificing quality. We have developed techniques and modes of operation specific to the execution of quality workmanship coupled with time-saving strategies. Need Electrical Work Done Right? If you have an electrical job that needs the eyes and hands of a seasoned electrician, get in touch with Anacortes Electric today for a scope of work and an honest estimate. Areas outside Anacortes will be on the basis that I have the time and manpower to meet the request.